Four bizarre tales of animals, told through images and very short sentences. Tale One: Li'l ducky has bizarre third leg. 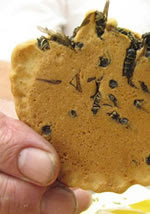 Tale Two: Japanese people buy into new trend of wasp cookies. Tale Three: Phil Coiinetnetau tells us how to prepare a kiwi. 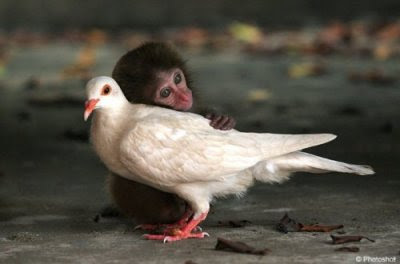 Tale four: The little monkey loves la paloma blanca.